DosaMaker - Make fresh, healthy crepes, wraps, and dosas in minutes! Dosas can be gluten-free and vegan, and are a great substitute for bread and store-bought wraps. 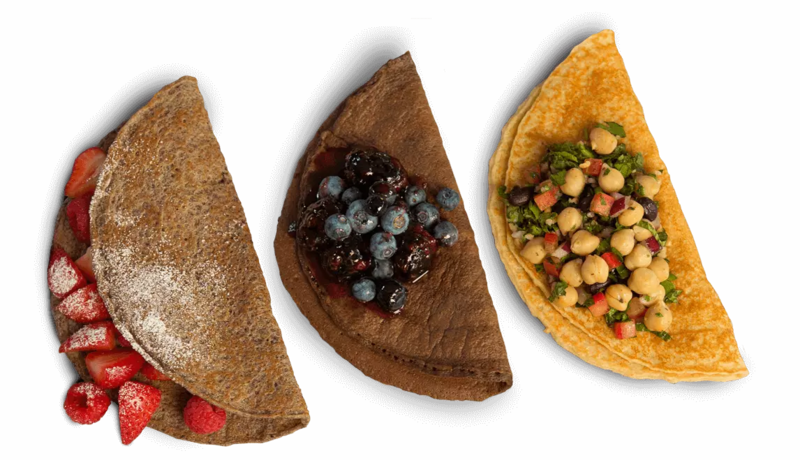 Create fresh, healthy crepes, wraps, and dosas in minutes! 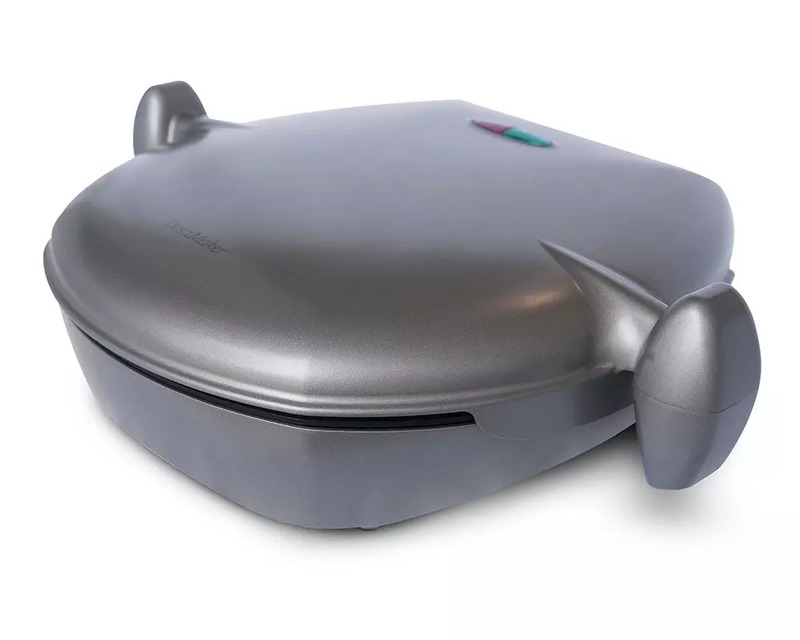 With the DosaMaker anyone can quickly and easily makes dosas, crepes, and wraps at home – no skill or experience required! From sweet to savory, soft to crispy, and healthy to decadent, dosas are now enjoyed for breakfast, lunch, dinner, and dessert. So whether you call them dosas, crepes, or wraps, just know they’re delicious! It’s like a smoothie turned into a dosa. 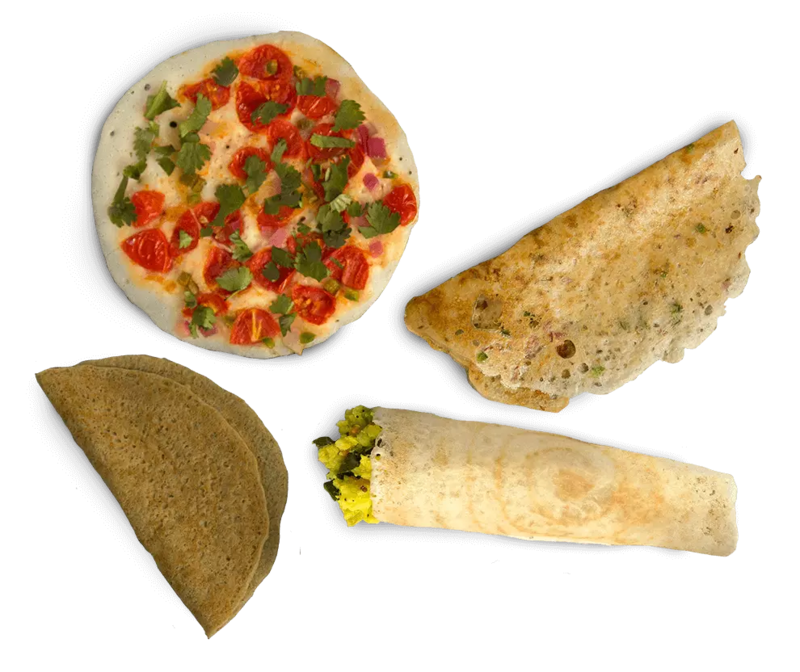 With the DosaMaker, dosas can be made from fruits and vegetables. 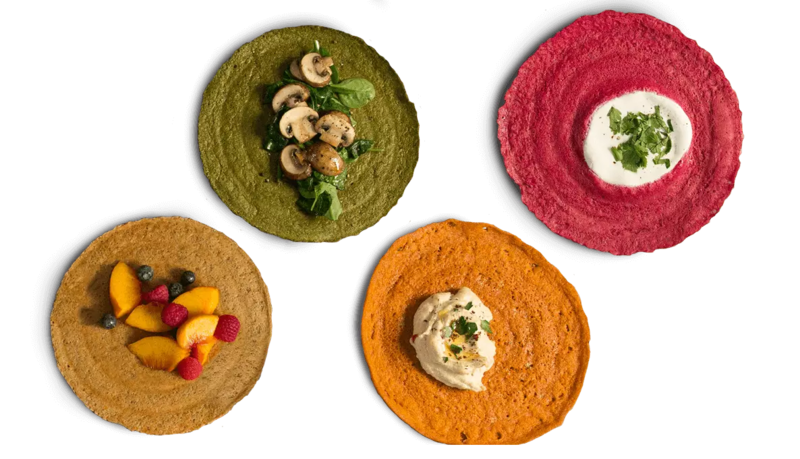 Our spinach & edamame dosa, beet dosa, oatmeal banana dosa, and sun-dried tomato basil dosa are just a few delicious ways to enjoy eating your fruits and vegetables. Chickpea and buckwheat dosas are perfect bread substitutes to create healthy gluten-free sandwiches. Craving a muffin or pancake? Checkout our lemon blueberry muffin dosa and chocolate pancake recipe. Traditional Dosa, Rava Dosa, Adai (Lentil) Dosa, and Uttapam are delicious, but difficult to make by hand. The DosaMaker works with store bought and homemade batter, and enables anyone to make these dishes in minutes. Making dosas by hand is tough! Dosas are difficult to spread and very sensitive to the temperature of your pan. If the pan is too hot, the batter will begin to cook as soon as it’s poured and will not spread evenly; If it’s too cold, you will not get a crispy dosa or that “just right” golden color. Learning the art of making dosas typically takes a lot of patience and time, which in today’s busy world most people do not have. 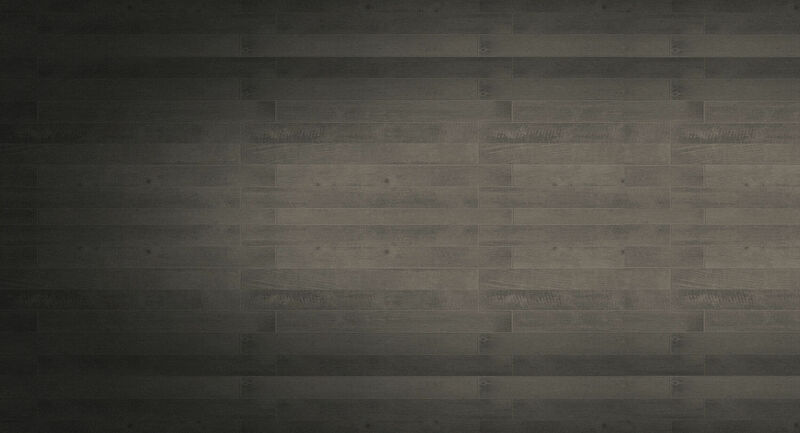 That’s why we created the DosaMaker.